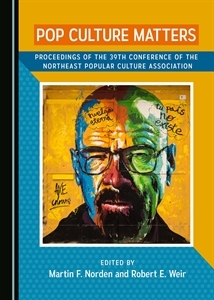 If you have applied to give a paper for the fall NEPCA conference, you should have received notification by now. PLEASE CHECK TO MAKE SURE THIS MESSAGE WASN’T INTERCEPTED BY YOUR SPAM FILTER. Reminder: PRESENTERS WHO DO NOT REGISTER BY SEPTEMBER 1 WILL BE BUMPED TO THE WAIT LIST. We have a large number of individuals whose papers were waited-listed in the first round and if you do not pay and register by September 1, you may lose your place on the program.